Noble House Tours private limited is govt. approved tour operator and providing services since 1994. 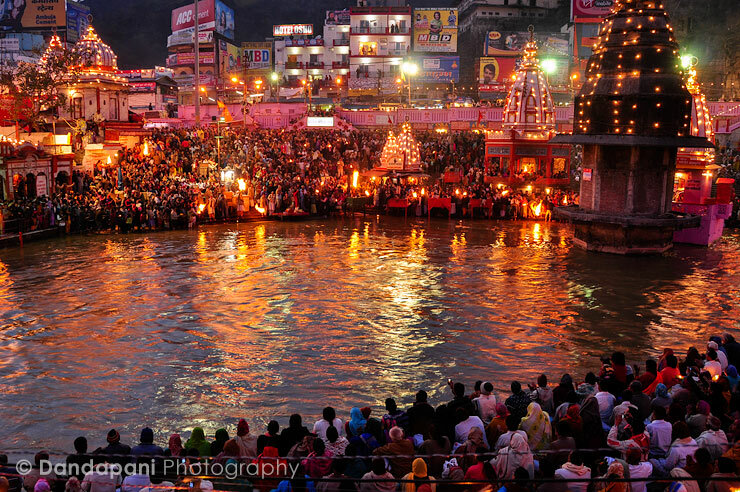 A Hindu festival and assembly of large population, held once every twelve years at four locations in India, in which pilgrims come from various states throughout the nation to bathe in the waters of the Ganges and Yamuna Rivers. 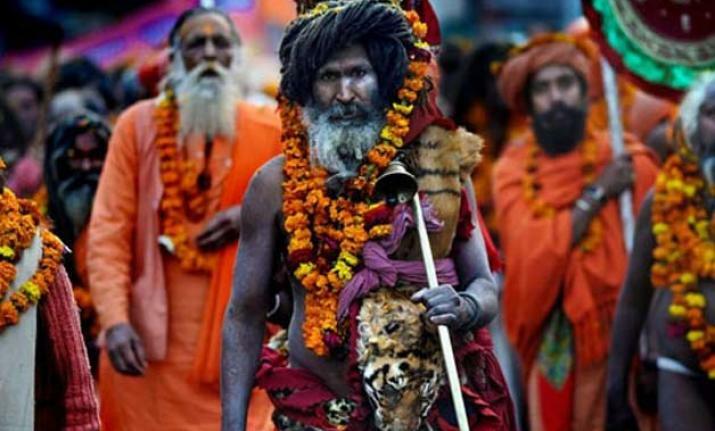 It is the festival of mass pilgrimage faith related to ancient Hindu mythology which takes place every twelve years at one of the four religious places: Allahabad, Haridwar, Ujjain and Nasik. It is the world’s largest religious human gathering in the history of the world for same cause on a single day irrespective of the worldly barriers of caste, creed, color or religion. People think that it comes only once in 12 years but is held every 3rd year at one of the four holy places. It’s once in a lifetime experience witnessing tourists from all over the world in the spectacle of faith. 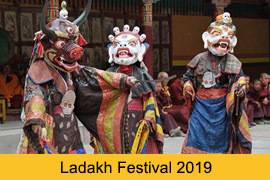 This festival witnesses the ritual bathing in the sacred water saturated with flower, incense, fragrance followed with enchantment of Vedas, hymns & mantras. It is believed that visiting in this great fair cleanses all the sins and liberate from one’s all miseries & sufferings of life. One achieves salvation, moksha (liberation from the cycle of life, birth & rebirth). 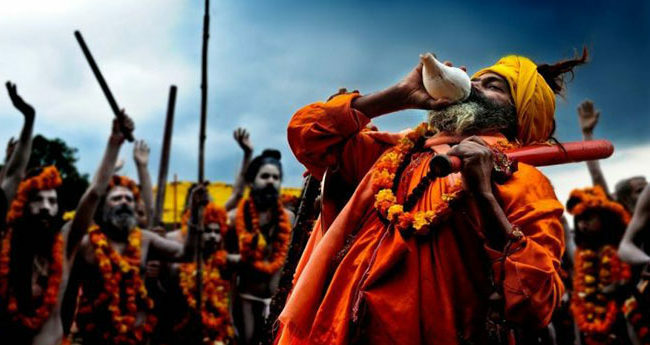 So Get ready for this amazing experience and Book Kumbh Mela 2019 Package with us. Indian Traditional Welcome with Garlands at the Indira Gandhi International Airport (T-3) and transfer to hotel. After fresh up, explore the Delhi and its Historical Monuments. Night stay in Delhi. Fly to Allahabad. On arrival meet and assist by our Representative at Airport and transfer to the Camp. 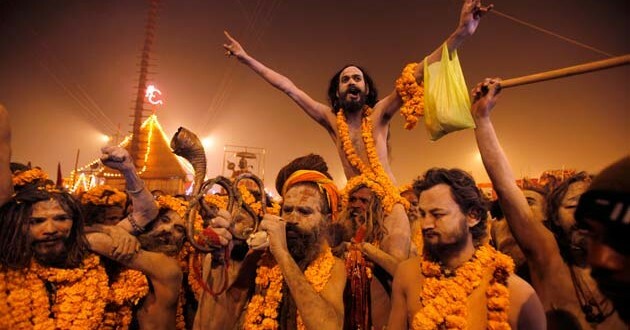 After fresh up, explore the Kumbh Mela. Dinner & Overnight stay at Swiss Tent/Camp. Breakfast at Camp, visit nearby places like Hanuman Temple, Allahabad Fort etc (by yourselves). Later back to Camp for Lunch and rest. Evening free to visit different Akharas camp. Join evening Aarti. Dinner & Overnight stay at Camp. 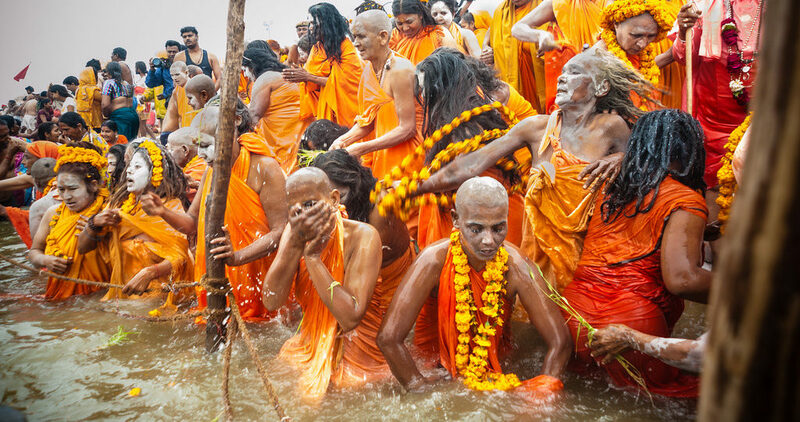 Early in the morning proceed for holy dip at Sangam. Back to hotel camp for breakfast. Full day to explore Kumbh and get interaction with Sadhu/Mahatma etc. 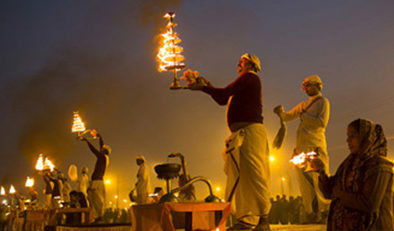 Participate in Ganga Aarti at Sangam. Lunch and dinner will be served at Camp. Overnight stay at Camp. Breakfast at Camp. Free till noon. After Lunch Check-out and drive to Varanasi. On arrival check-in at Home Stay. Later do sightseeing of Sarnath and city tour. Evening visit Dashmesh Ghat to see Aarti on River Ganges at around 7 PM. Overnight Stay at Hotel. Early morning boat excursion on the holy river Ganges to see the bathing ghats and cremation site( burning dead body’s). Watching people bathing and worshipping at the ghats is one of the most extraordinary experiences of a visit to India. Morning visit to – The Bharat Mata Temple, Durga temple, Tulsi Manas mandir. Breakfast at hotel. Free for own activities in Varanasi. Overnight Stay at Hotel. Fly To Delhi. Day free for shopping in Delhi city. Night stay in Delhi. Transfer to airport to connect flight for home. 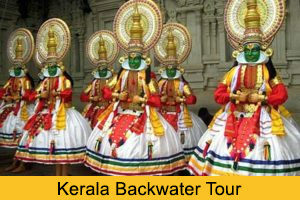 There are many different Tour Packages of India. People choose the tours according to there own interest. There are lacs of tourist visit India every month. The most visited place is rajasthan due to its royal culture as its Land’s of kings. Here we are showing one video where we have organized the Elephant ride to one of our valuable client at rajasthan and this was unforgettable life time experience for them.